​Tourism marketing is a process, not an event. Alongside the age-old saga of trends and fashions, of rising expectations and emerging destinations, we need to respond to technological innovations without abandoning the proven and basic principles which attract visitors and service the full spectrum of their needs. Development and marketing is always a mix of the traditional and the new: traditional skills, intuition and innate creativity facilitated by the technology available for realisation, analysis and distribution. In the same way, the life of the specialist should, ideally, be a mix of learning, research, strategic thinking and practical knowledge and skills - the latter if only to enable us to work effectively with other creative professionals when necessary. Theory underpinned by practice is a winning combination. ﻿It is now three years since I completed my tenure with the Welsh Government Digital Tourism Business Framework project as Editor of 'Visit Wales : Share Wales'. 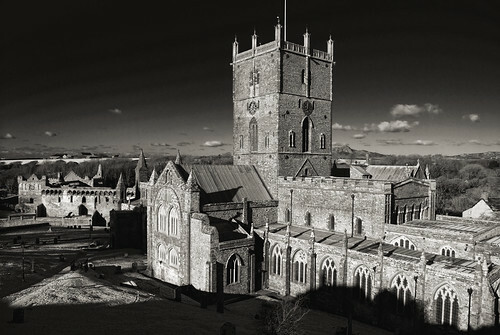 Several other longer term commitments drew to a close in the following year, including a 3/4 year stint on the Steering Group of PLANED's very successful Community & Heritage Tourism initiative, where I reported on new digital applications in heritage marketing and interpretation alongside relevant initiatives from Welsh Government and Visit Wales. Since then I have enjoyed a somewhat less structured work regime which has included freelance writing, editing and photography commissions alongside the usual sub-contracted projects in (discreet) association with specialists in town planning, heritage interpretation and tourism and leisure development. And I am (honestly!) intending to return to the Wales Coast Path Photo Itineraries on this site, to begin adding long overdue historical detail to this modest contribution to destination marketing. At the same time I began building a new web site featuring print-on-demand Wall Art of Pembrokeshire locations and architecture: see Foster : Images. 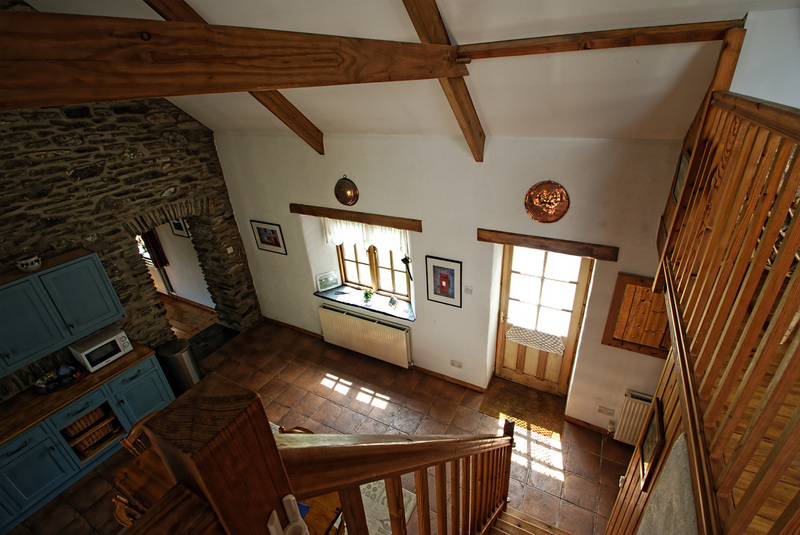 Good quality photographs add character and local flavour to public spaces, letting rooms, holiday cottages and business premises. Finally, (but probably not), photographic nostalgia has brought to mind a rush of images and photographers that have grabbed my attention over 60 years of on-and-off professional dalliance. In the autumn of 2017 I began researching and compiling a Bookshop page of the best of the best that is available. This will take some time, but there are some 60+ titles currently on offer and a narrative of the development of disparate photographic disciplines and applications is beginning to take shape on the Foster : Images Bookshop page and in occasional Blog posts. On-site photography by kind permission of Yr Hen Gof. But the strategic aspects of tourism and leisure development and marketing, especially at destination level, remain at the core of BFA's professional interests and activities. My two years of monitoring and scanning the horizon of the digital environment have added new perspectives to forty years' experience in marketing and marketing services. We are living in an era when rapid response is at least as important as long term planning, and where broad strategies must be sufficiently flexible to adapt to new technologies and emerging consumer trends. The boundaries between 'product' and 'marketing' have almost disappeared with the integration of multi-channel, multiple-media, cross-platform presentation and communication. It's a brave new world and getting braver. Tourism, more than any other sector, has the potential for merging products, media and messages into dynamic combinations. And these dynamic combinations extend to collaborative working, both within and between tourism sectors. The sharing of resources and effort is developing at a pace and creating potent new alignments. This is the new paradigm, where collaboration replaces Darwinian competition with communities of interest. The BFA web site falls roughly into two halves. The first illustrates the breadth and depth of our experience across a number of disciplines, accumulated over many years as development priorities, market demand and, to some extent, funding regimes have changed. The second is a gesture towards local destination marketing, an updated version of the North Pembrokeshire Coast Path Photo Itineraries that were first published on our previous site. Best viewed on larger screens, it is hoped that the material on the coast path sections will be useful for pre-planned walking trips. But the Itineraries are also intended as an example of how small businesses can develop local content using free or low cost software and equipment. For many years, which include my tenure as Share Wales Editor, I have been a strong advocate of self-published content and the systems that bring an Internet presence under the total control of small business managers. Equipment and systems are outlined in the Production Notes on the Photo Itineraries root page. For your browsing pleasure we have added a music track to each page, and eclectic mix which reflects more than 60 years of listening. The BFA web site is always undergoing revisions and updates but please feel free to browse and check back at regular intervals, or contact us if there is a project you would like to discuss.